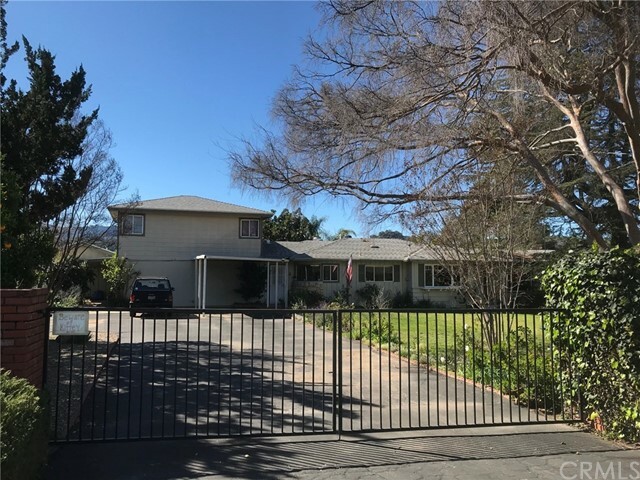 All Oak View homes currently listed for sale in Oak View as of 04/21/2019 are shown below. You can change the search criteria at any time by pressing the 'Change Search' button below. "BRAND NEW CARPET INSTALLED. Main house has 3 bedrooms, 2 bathrooms, living room, family room/dining room with fireplace. Home also has a bonus room with a closet, laundry, balconies, deck, double pane windows & fans. The French doors upstairs open out to beautiful mountain views, Home has great options for outdoor living and taking in the pink moments. Come check out the deck with exterior and interior access, & large front yard. Back property has: Guest house 10' X 10 Dog Kennel, Tack Room, Huge Storage Shed, 4 car carport, 2 Septic Tanks & water conservation drip system. Fruit trees include: Fuji Apple, Meyer Lemon, Apricot & Walnut. Above ground planters for a garden. Property has room for extras, such as 2-24 X 48 horse pens,1- 60' round Pen & 1- 12' X 12' hay Shed. Move right in with your horses and other animals. Great space for organic gardening opportunity."